I think it’s very fitting for me to be doing a post on scent in the garden, for my 100th post. After all, for me, it’s the highlight of my garden, and what governs my choices. I’m joining in with Wellywoman’s meme on scent in the garden. I know I’m late with this – hope I’m not too late. I must start with the hard to pronounce, and even harder to spell, Ypsilandra thibetica. The simple fact though, is that this looks and smells gorgeous! This perennial was introduced to me by a fellow blogger last year, and when Chloris described its violet tinged and violet scented flowers, I had to have it for my Scented Shrub border. I tracked it down at a nearby nursery, soon after, and since then, its clump of strappy, light green leaves has happily sat there, doing not much, till a few weeks ago when the flower buds started to form. You can imagine how excited I’ve been to experience its first flowering – at least for me. The white flower spikes, tinged with lilac, are like chunky bottle brushes! 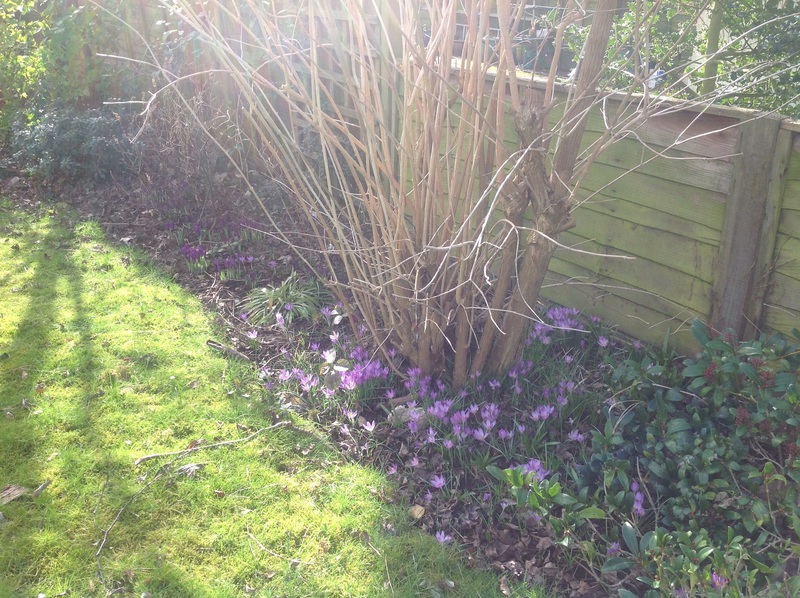 And it does have a lovely violet scent – although I do have to get down on my hands and knees to appreciate it! I hadn’t appreciated how good it would look nestled among the purple crocuses hidden from view when the Ypsilandra was planted. Elsewhere, last month’s contributions are STILL going strong. STILL pumping out its lovely, lily-of-the-valley perfume! STILL producing even more of its delicious lemonade scented flowers! STILL hanging on, but fading now, both flowers and scent. And STILL flowering as well as when it first started back in November. I did fear there may not be much else new to show you. Abeliophyllum distichum is just about flowering but the very tiny white flowers are very sparse and didn’t take kindly to photographing. 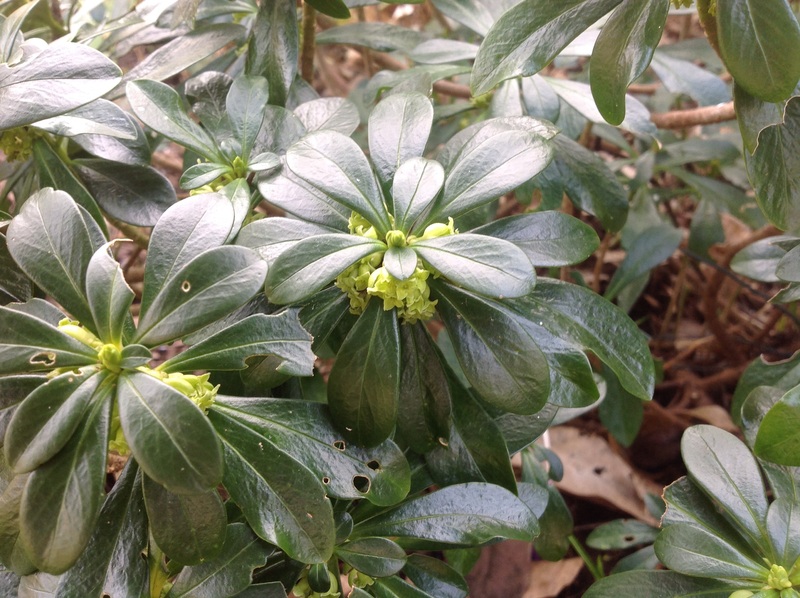 I realised the Daphne laureola had started flowering. 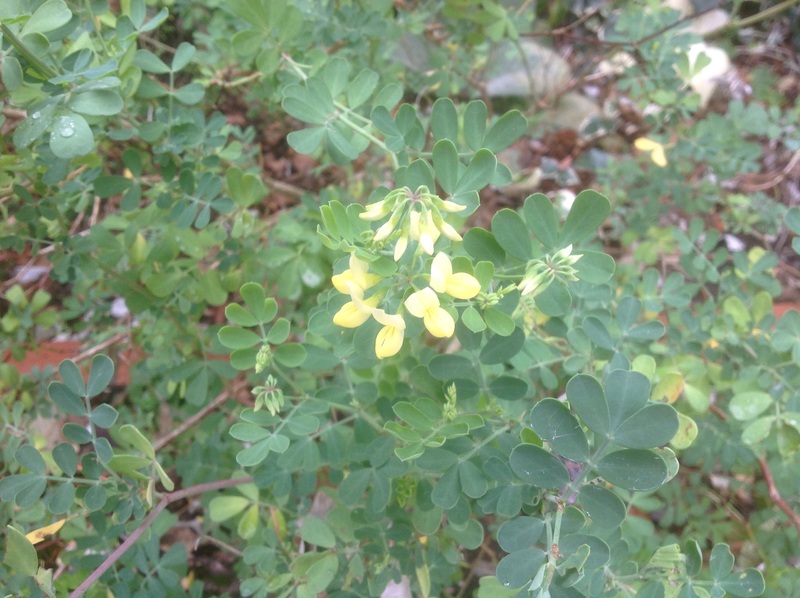 The flowers are hard to spot, nestled under the plant’s dark, evergreen leaves, but they are worth looking for, with their lovely, lime-green flowers, with a delicate sweet scent. 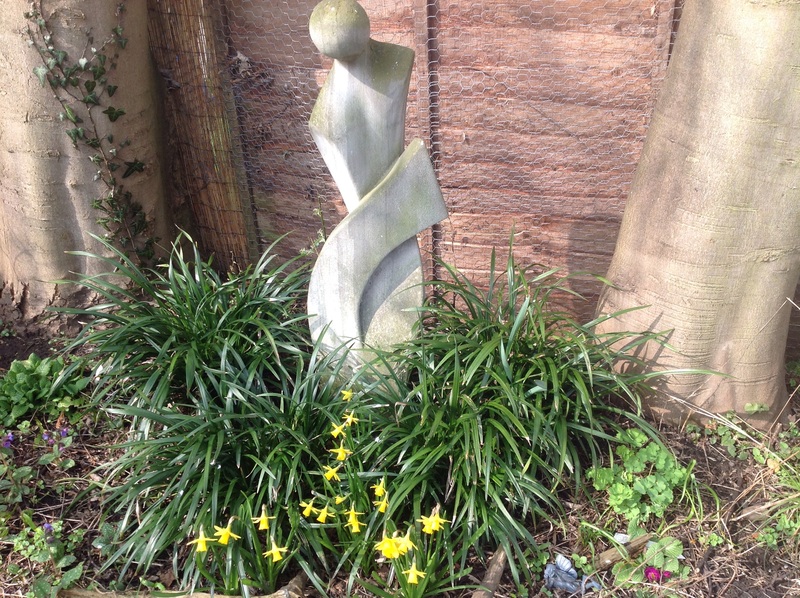 The mini narcissus that had graced my eggcup, are looking lovely, spreading themselves about in the Woodland garden. These ones here, are, I think, “February Gold”. The ones that “Kingsley”‘s presiding over, are unknown, coming from a floral display and planted out. But look what I almost missed! Look closely and you can just make out the remnants of Azara microphylla’s tiny yellow blooms. 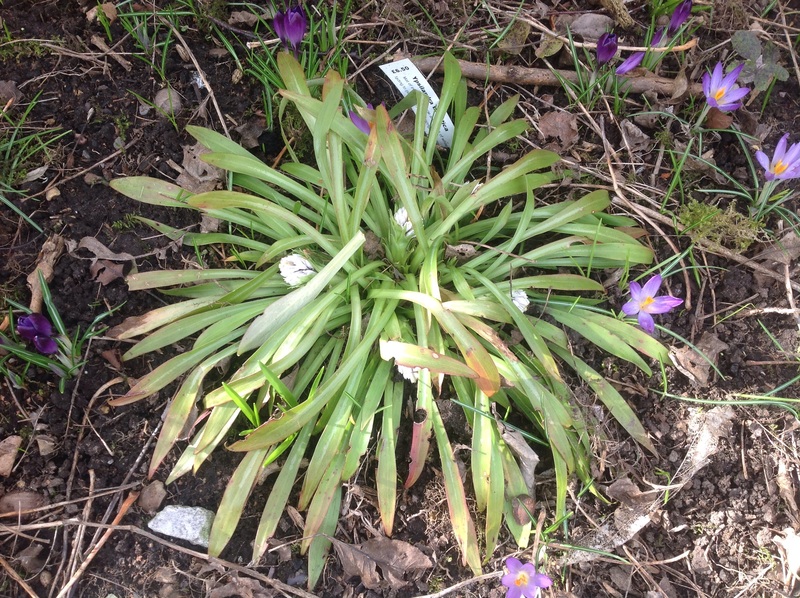 This was only planted last year, to replace one I lost, and hadn’t shown any signs of flowering – or so I thought! They were too small, too few and too low down to appreciate the vanilla “cake-like” perfume I happily remember from its predecessor. And then, the most pleasant surprise! I planted Viola odorata as part of a decorative herb border, many years ago, and thought I had lost them. I thought they had been swamped out by a weedlike variety with no scent, but look what just popped up! 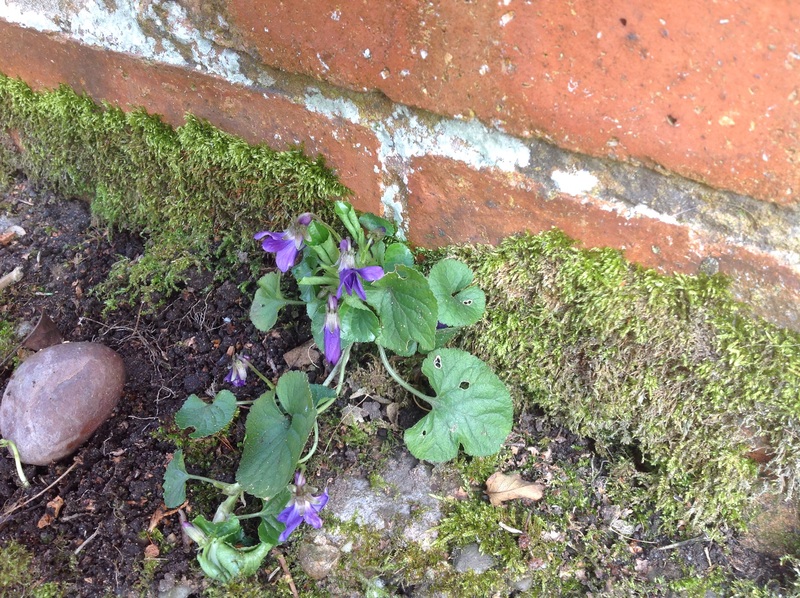 Definitely Viola odorata – Mmm….! I’ve enjoyed my 100 posts and have read and “met” many lovely people in the process! Thank you all! This entry was posted in The Scented Path and tagged Azara, Daphne, Garden scent, Narcissus, Violet, Ypsilandra on March 20, 2015 by thelonggardenpath. 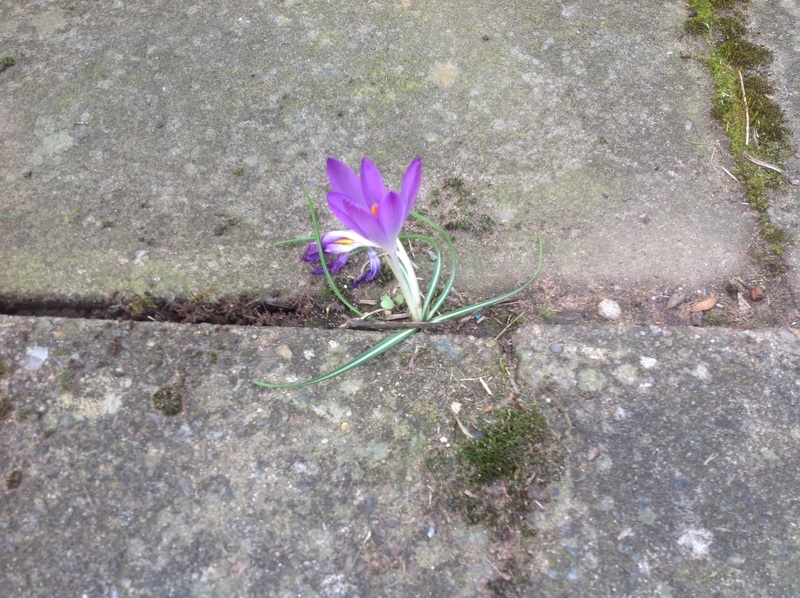 Sunday morning saw a short glimpse of spring. We realised it wasn’t to last. By afternoon the wind and rain was due to return, so we took the chance to grab a couple of hours to make inroads into all the garden tasks lined up for us. (And anyway, come the afternoon, the next round of rugby matches would be calling us indoors!). 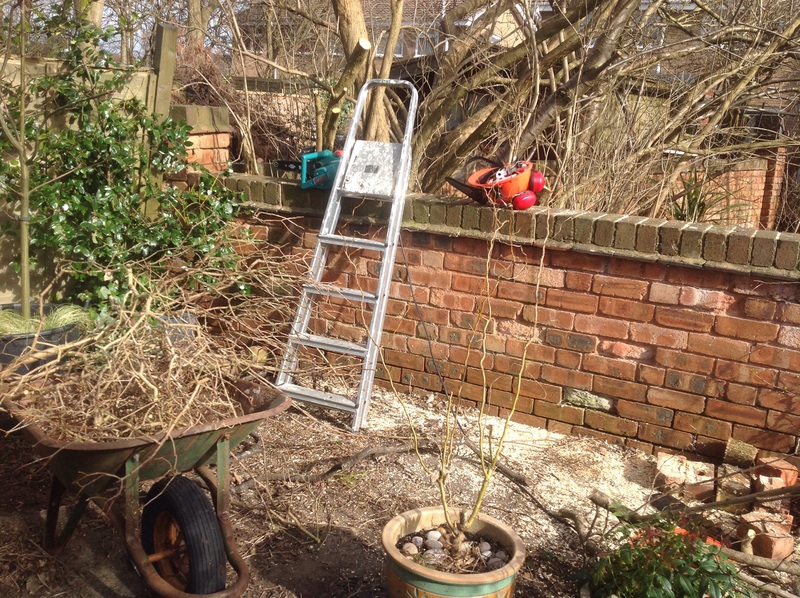 The job today was to remove a large branch of next door’s lilac tree, (with permission, of course!) that was constantly bashing me in the bonce! Not a job for secateurs, but for a chain saw. I should have taken a “before” picture, but Mr. Chef was well underway by the time I thought about it. That was the easy bit! Now it had to be disposed of! 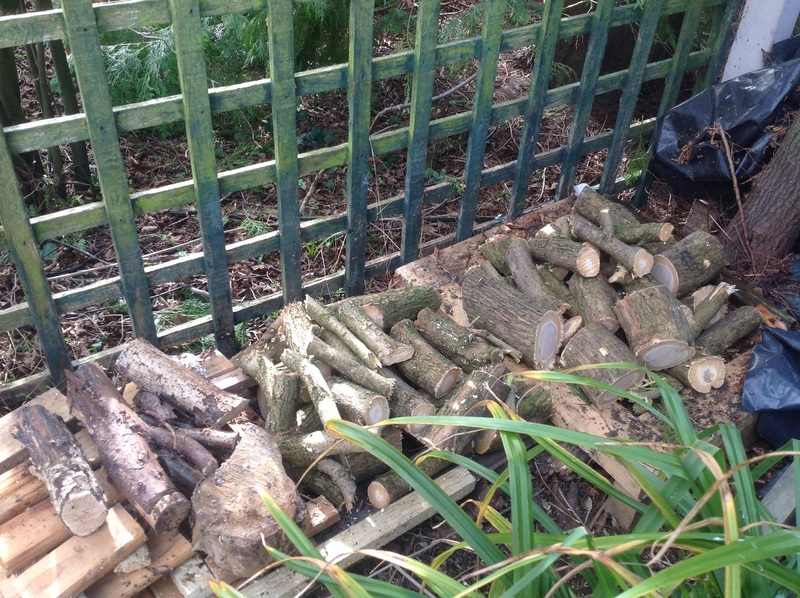 But at least now the woodpile is starting to take shape. It wasn’t all work. The sun also brought out a few gems to enjoy. 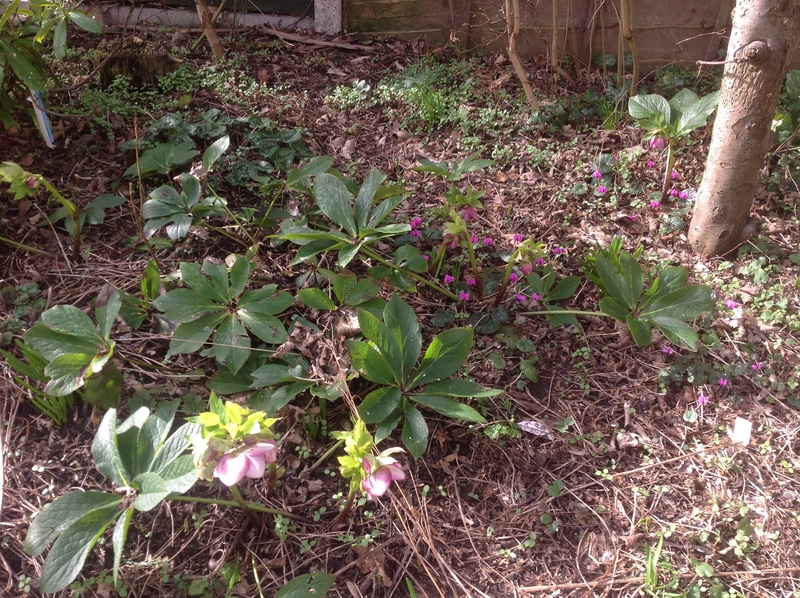 The Woodland Garden, where we were working away, was starting to look good, with all the tiny jewel-like cyclamens, dotted around under the newly opening dusky pink, nodding heads of the Hellebores. 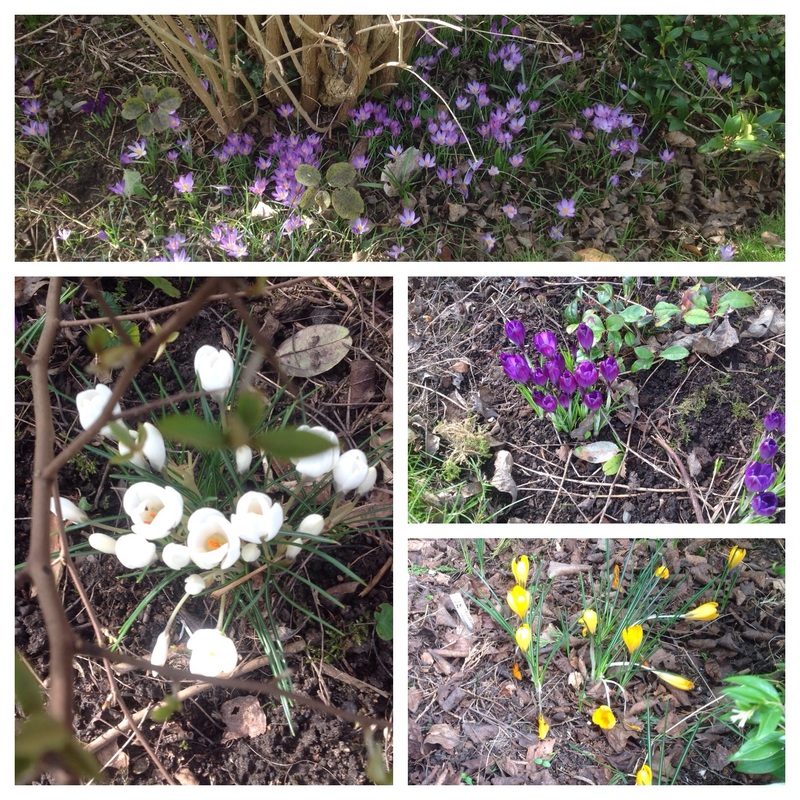 Elsewhere, in the Cottage Garden, it was the crocuses that were making the big impact. The sun was bringing them on and they were starting to open up and show us their faces. 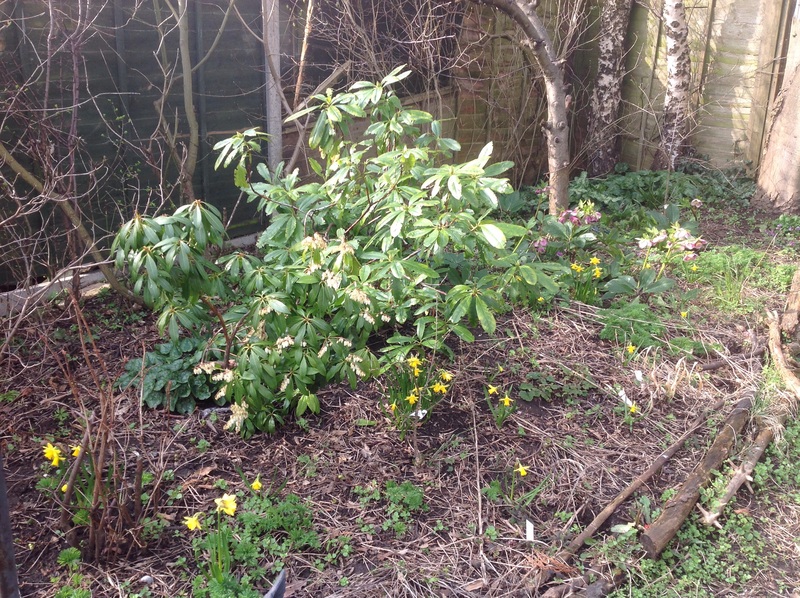 They were planted when we first started planting up the Scented Shrub Border, as an understorey for the shrubs, and they are really spreading out nicely. But Sunday’s highlight (definitely not the rugby! 😦 ) has to be the Ypsilandra thibetica I found last year, after I had seen it featured on a fellow blogger’s post (thank you, Chloris!). Its healthy clump of green leaves has been there since then, but now the flower buds are starting to appear. I can’t wait for its first violet scented flowers to bloom! 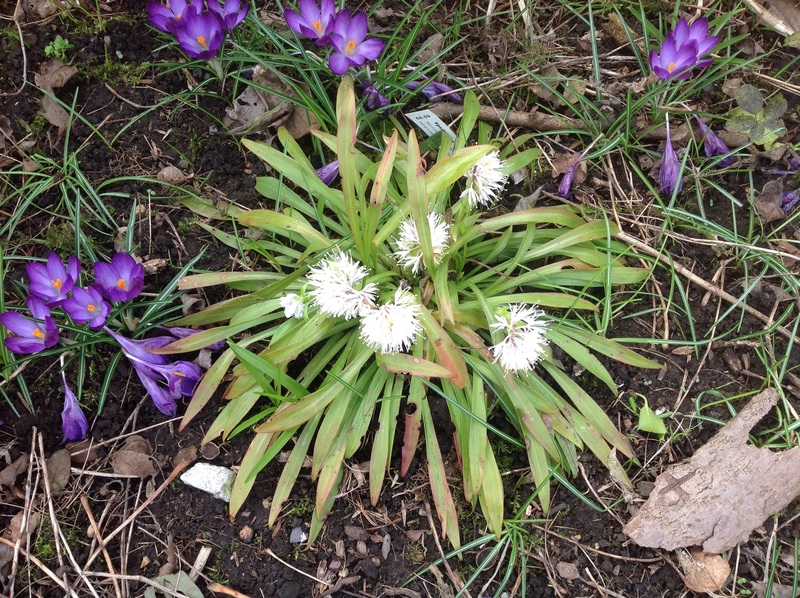 This entry was posted in Uncategorized and tagged crocuses, Cyclamen, Hellebores, Ypsilandra on March 3, 2015 by thelonggardenpath. For some time now, I have been desperate to visit Stone House Cottage, a garden and nursery not far from us. A free, bank holiday weekend and the time was right! I had compiled a shopping list, and was keen to shop! But they have wonderful gardens there too. So interesting – full of follies, and rare and unusual plants, in particular, many scented shrubs and climbers. A Plantlover’s paradise! You can imagine I would be in my element! This was not to be my first visit. I had been a few times before – a couple of times in early spring, and once in high summer. I was hoping to see it again at a different time of year. Alas, this was not to be! Time constraints meant we couldn’t spend long there, and I had to console myself with the shopping list. 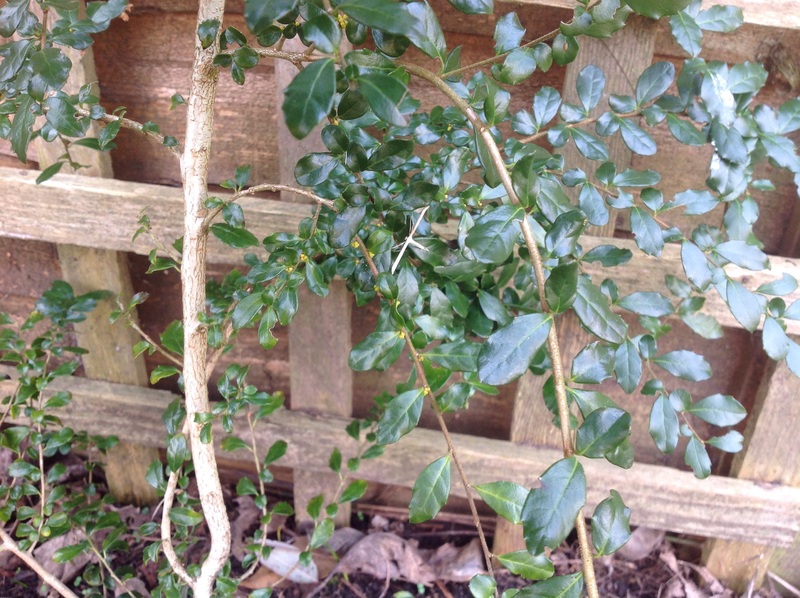 I was desperate to replace an Azara microphylla I had lost in a cold spell, a couple of years ago. 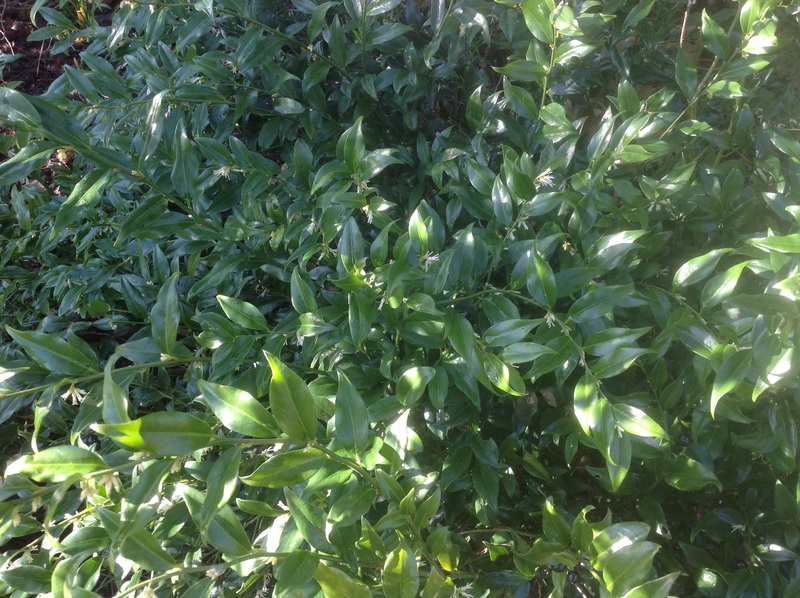 It’s an evergreen shrub, often grown as a wall shrub, with small, shiny, dark green leaves. 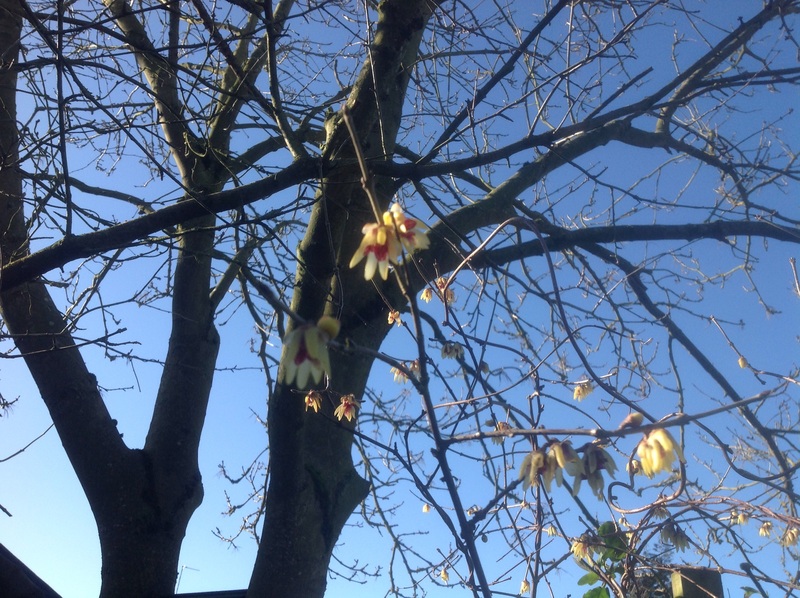 The insignificant looking yellow flowers appear in February/March, and though tiny, they emit a huge vanilla perfume, making the whole area smell like a bake-off – all cake and custard! I couldn’t be without it. Shopping list, tick 1! Next on the list, after reading an earlier post by a fellow blogger,(thank you Chloris!) I was keen to find Ypsilandra thibetica and had tracked it down to here. Luckily they had that in stock as well. Shopping list, tick 2! Then came the impulse buy! While wandering around, I was stopped in my tracks by the most amazing perfume. 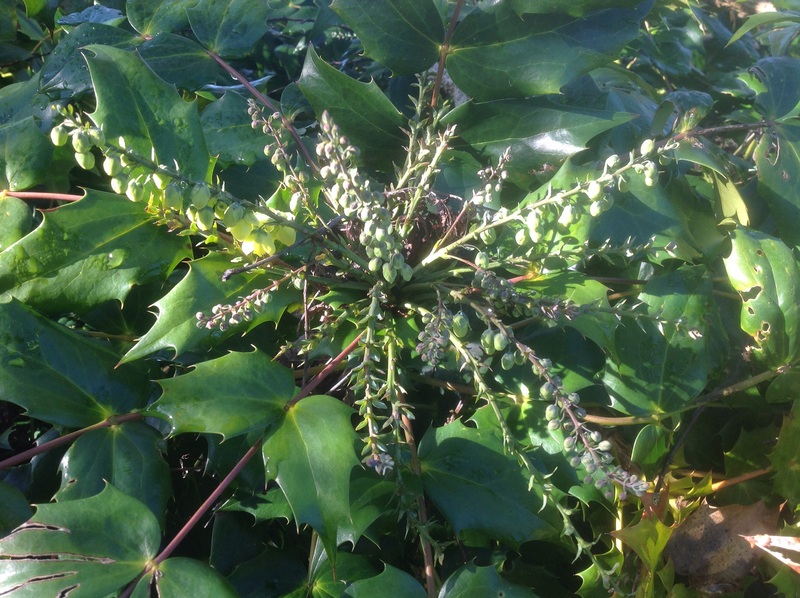 I found where it was coming from – an Elaeagnus umbellata. This plant was a new one to me. Even Mr. Chef was drawn to it and he admits himself that he has a weak sense of smell. So it was easy to persuade him to bring it home with us as well! This is the shrub sat on the seat in the picture. 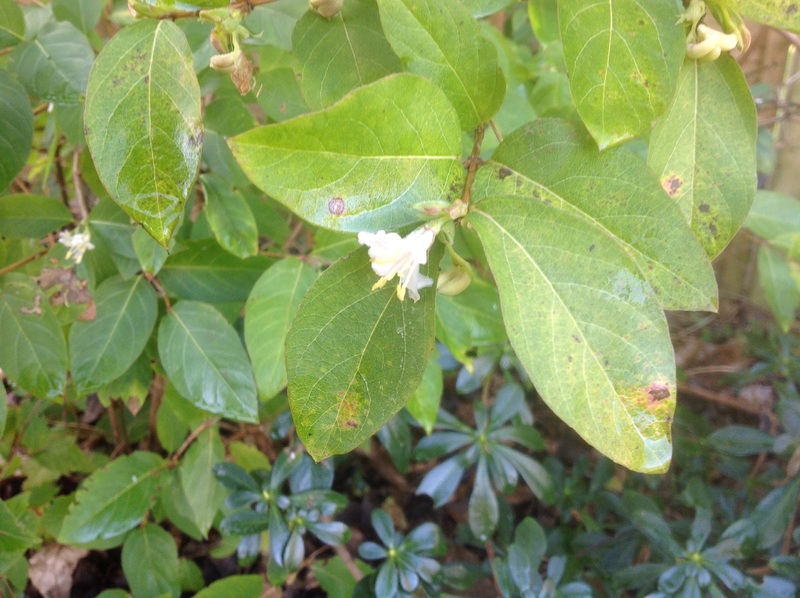 It is a sprawling shrub with silvery green leaves, and tiny cream flowers – the guilty party! Apparently, it can grow quite large (oops! 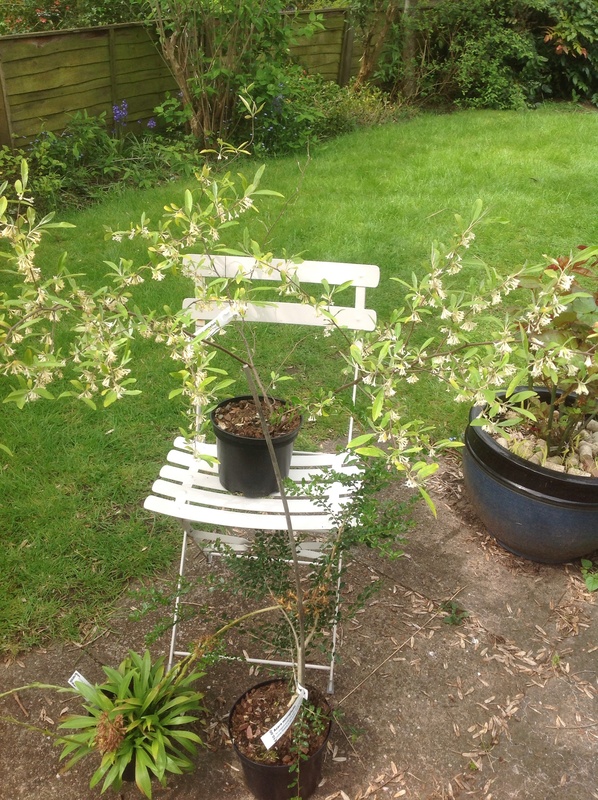 ), though it can be pruned back easily, and I had no place earmarked for it when I bought it. I’d worry about that later! A definite impulse! I had enough time to spot a few more plants on my wish list, so hopefully there will be another visit soon, with more time to spare next time. I want to revisit the garden, complete with camera! If you can’t wait for my photos, you can have a peek at their website. You will be jealous! This entry was posted in The Scented Path and tagged Azara, Elaeagnus, Scented shrubs, Ypsilandra on May 5, 2014 by thelonggardenpath.